Among the most fun and fulfilling Halloween accessories is makeup, and there are so many looks and feels you can create that it's a real blast to get some inspiration to design your own unique Halloween look, as well as those of your loved ones or friends. 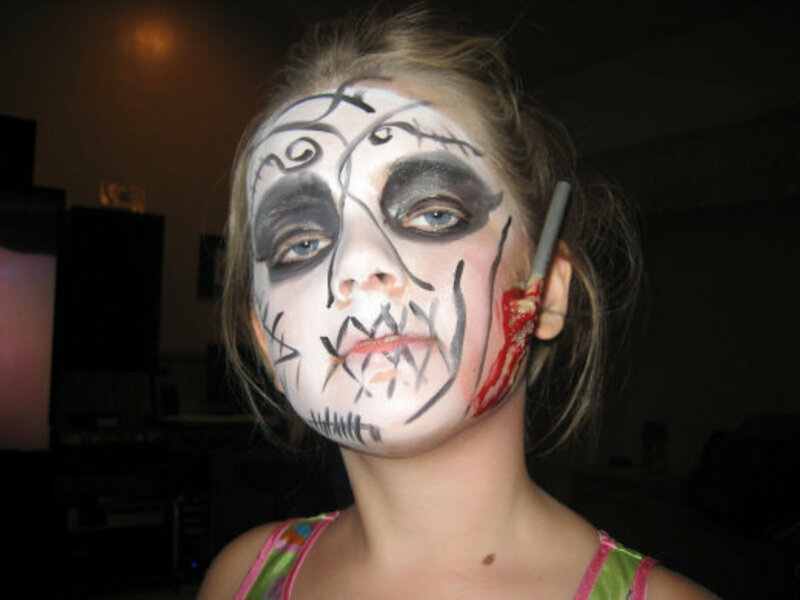 There are a lot of Halloween makeup products on the market, as well as some regular makeup you can employ for your own Halloween artwork. Think of the type of character you want to create first and a basic costume that would go with it, from there you can build out the entire character by adding Halloween accessories, and finally the crown jewel of your persona: Halloween makeup. I'm not going to get into a lot of Halloween makeup tips, but one thing to consider, especially for the face, arms and torso, is to lay a solid foundation as a canvas to work on. In most cases the best and easiest base to work from is white, although any will do depending on the character or look you want to develop. Also think of things like scars, wounds, eyelashes, or numerous other Halloween accessories you can add to complete your masterpiece. 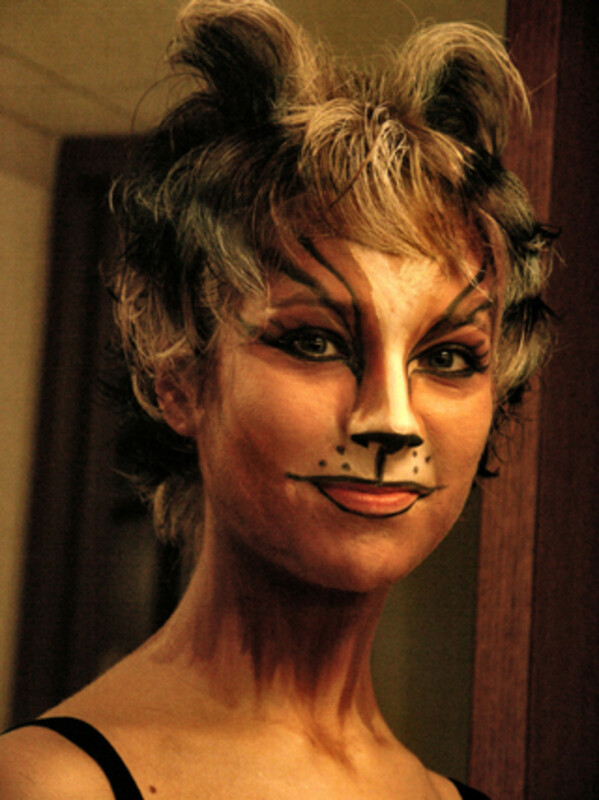 I've included a number of Halloween makeup photos here to give you some ideas and inspiration to work from. You don't have to be intimidated, as there's no one way to do it, and in the end, it's the experience and fun of doing it together, or for others to enjoy the end product that really counts. I thought weI would start with something basic to work with and also to show something different than the white foundation, which is pretty easy to understand and to design. You can see how this blue, or any other foundational color, can be the base or simply the end product of what you're trying to create. It's easy to apply and you can take it in a number of directions. It doesn't take long either. 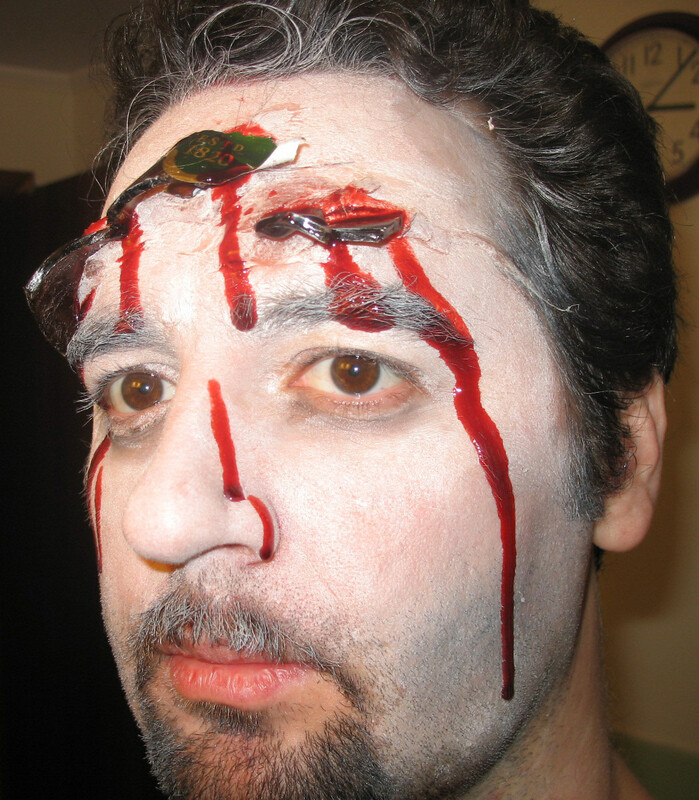 It's a simple but effective way to put on Halloween makeup. 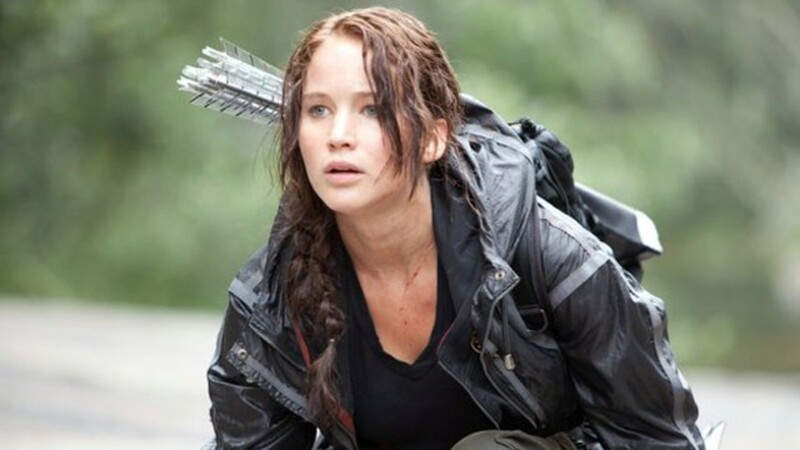 I confess, this isn't actually someone that was putting on makeup for Halloween, and I'm not making fun of her. But I wanted to show how a pale or white foundation can be laid from which you can add just about anything you want to it; similar to a white or light colored wall in your home. 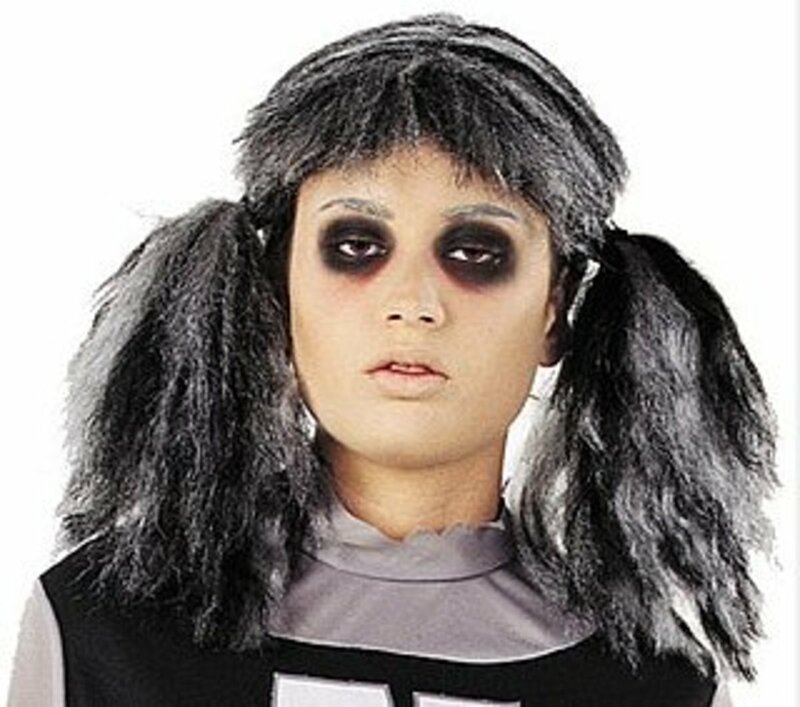 But if you want a Goth Halloween look, this is one way you could do it. Here we have another white foundation, and what looks like glass sticking in his head is very realistic and cool. Don't surprise your elderly grandma or mother, as they may have a heart attack right there or have you at the doctor ready for surgical removal. This is a lot different than the previous Halloween makeup looks, even with the same white foundation. Here you have black, purple and red added to the mix. 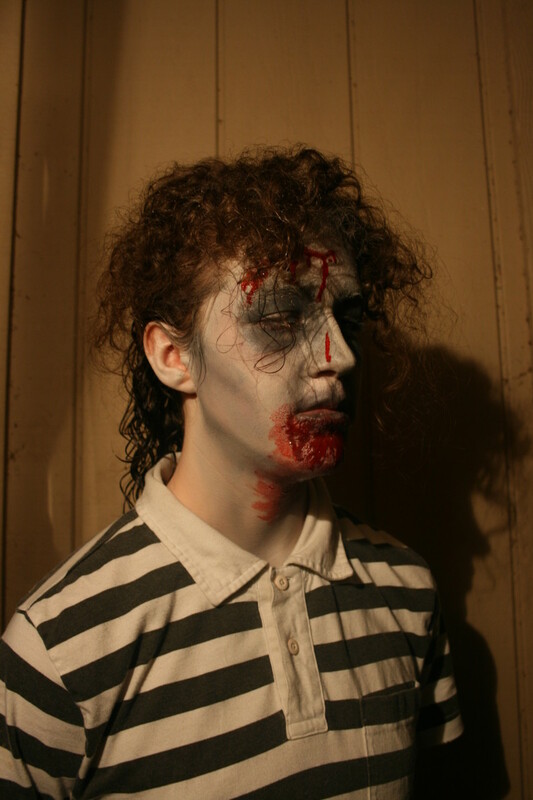 And the hair, which is something to consider when putting together your overall Halloween character, really adds to and works together with the makeup. Oh yeah, how about them eyes? This photo was also included to show you how easy it is to take something very simple, add a couple of Halloween accessories, and you have a pretty good face for Halloween. The dark around the eyes is nice, as are the little X's on the mouth signifying it's been sewn up. Include the knife on the side of the face and it's a quick and easy makeup job that isn't bad looking at all. This makeup creation of Beetlejuice works from the same white foundation, but adds different colors, especially that green, to give it a completely different look. The teeth of course help a lot, as well as that nice hair. 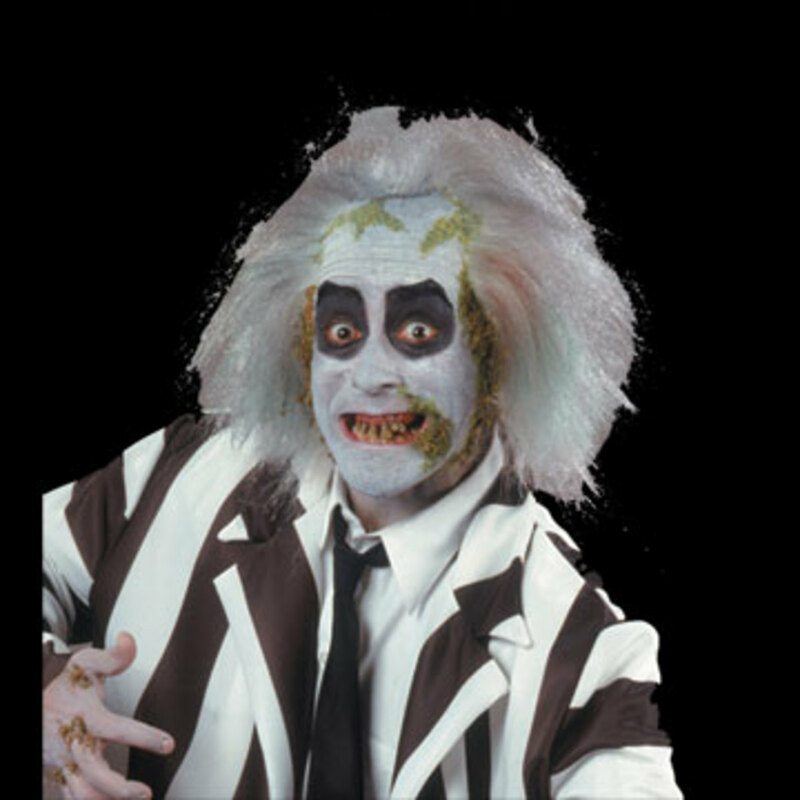 Add the black around the eyes and you have a great Beetlejuice character fairly easy to do. 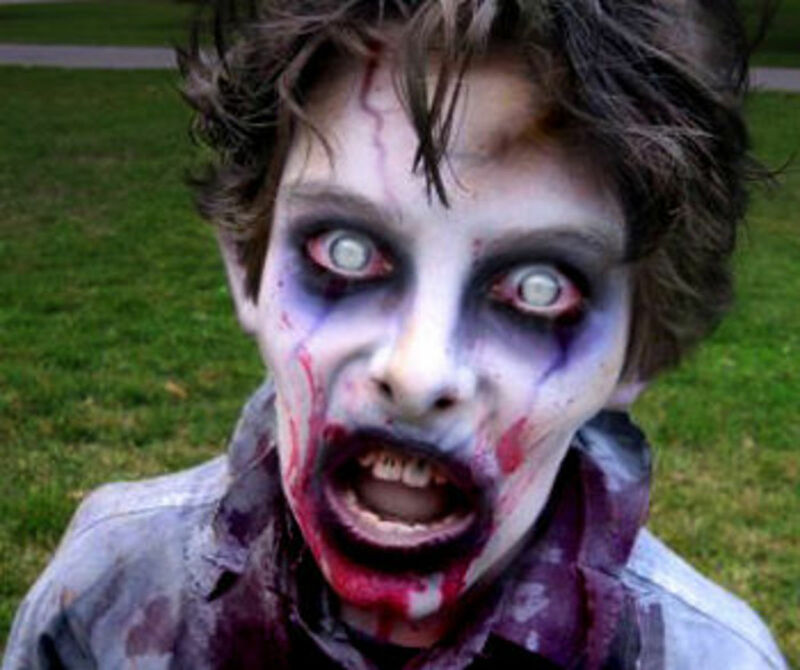 I like the little bit of different color around the eyes that makes the zombie appear very real. Zombies, after all, never seem to get any sleep, and when you add the fact they never stop walking around, no wonder they look so dark around the eyes. Oh yeah, being the living dead doesn't help either. While the red addition makes it look like he's just fed, that little fleck on the side adds a nice touch which makes it look like his skin is falling or peeling off. This Halloween makeup photo was included because you only have to do a few things and really have an incredibly fun and different look. This works well because of the light, white foundation, and the dark black eyes enhanced by the shape, style and coloring of the hair, along with the eyebrows. Really great fun. 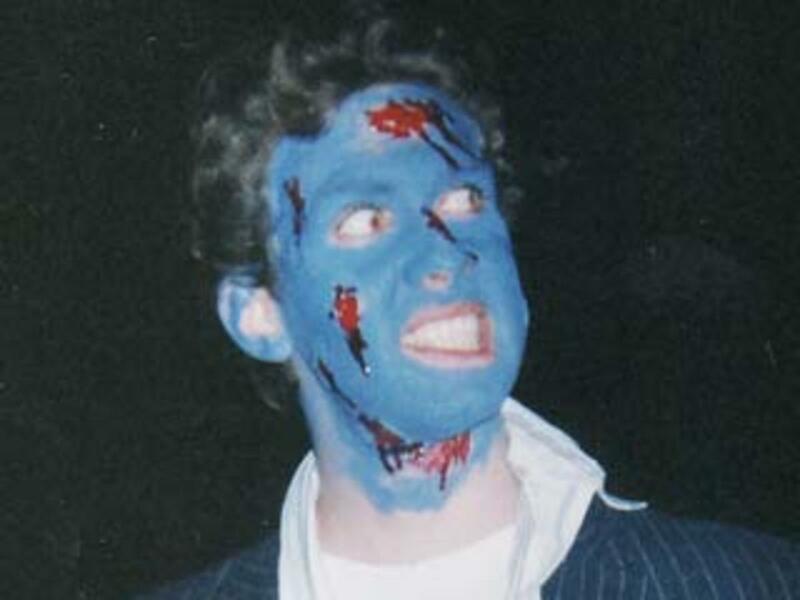 The zombie here was added because of how similar the makeup is to the one a couple of pictures above. Notice the eyes and red around the mouth and how close it is in appearance. What I wanted to show was how changing the hair - whether for a man or a woman - can make the look completely different, even though the markings are almost the same. Making your face into a Halloween mouse is always fun and easy to do, but it also seems to never go out of fashion. 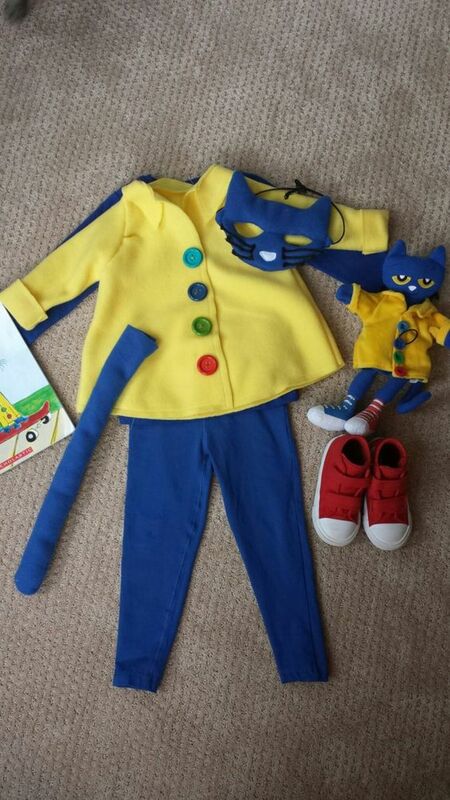 Add a couple accessories like the ears and nose and you never lose with this look. But the biggest part of this look is the vampire fangs if you noticed them. That's all we need. A vampire mouse running around during Halloween. The makeup look below is so professional looking. Yet look at the lines and colors and you can see how simple and easy this is to create. The hair, again, really adds to the feel of the face, which would be great at any Halloween party. This is a great pattern to work from for a variety of things you may want to create, just catch and imitate the detail and how it was applied in every area of the face to get similar results. This is taking Halloween makeup to the next level obviously, but I wanted you to see the way the colors were used and blended in a different way than most of the other Halloween makeup photos. This was done so you could see how you blend it all together; including in the hair. 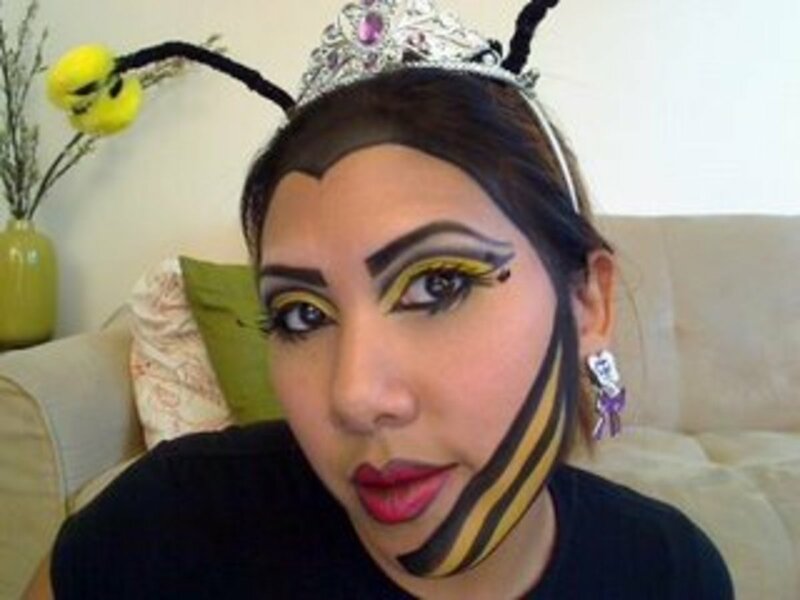 This is a really fun Halloween bee face. Look at how easy and simple it was to do. You of course have to have those antennae, as it wouldn't be a bee without them. But see the way the lines on the face were done, and how easily and quickly you could do it. Really nice. Here we have again a Halloween accessory, this time on the eye. 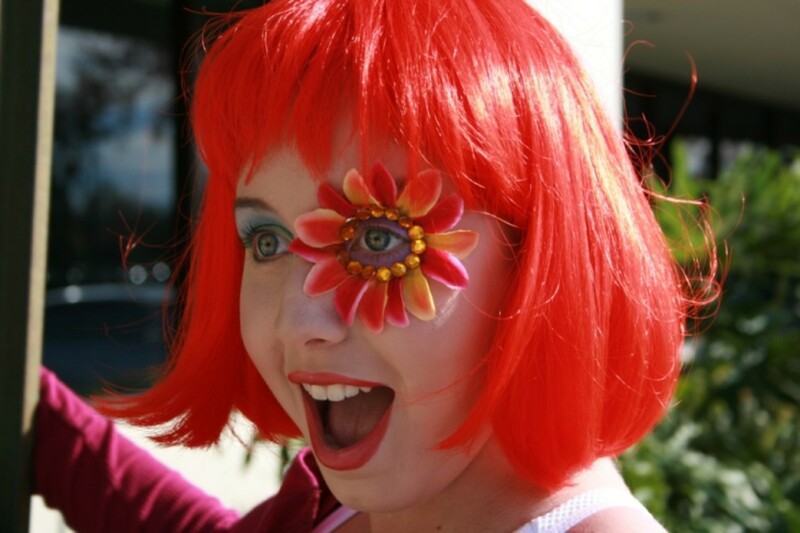 Then there is added some wig or hair color, some great makeup, then voila, a fantastic Halloween face. Now isn't this as easy as it gets while looking great? Isn't this a cool vintage or retro look? The face was done with a stencil of some sort, and of course the hairstyle along with the feather on the side makes this a fantastic Halloween mask. Very cute! 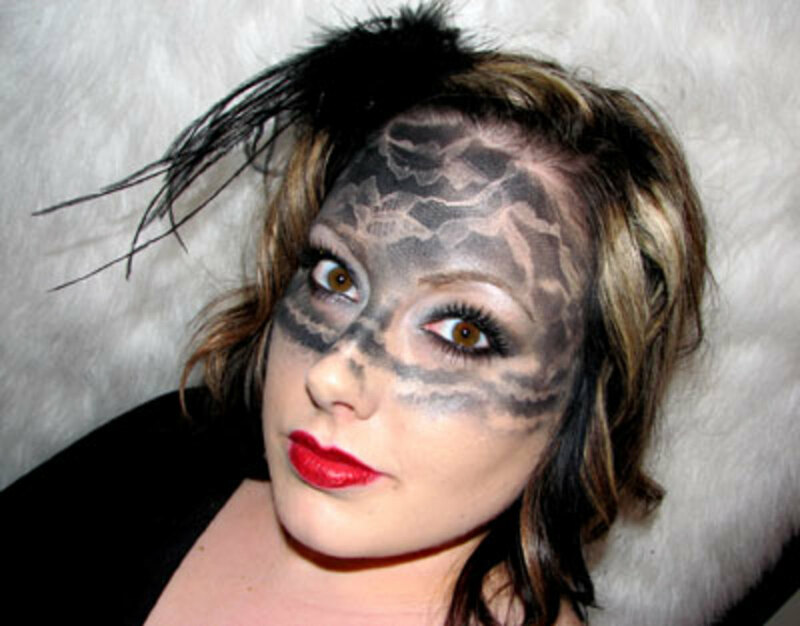 Looking at all of these should give you tons of ideas to get your creative juices flowing and design a great face using Halloween makeup. It's endless what you can do, and as you can see, just a few simple tricks, hairstyles and accessories can make a great face, along with the makeup. Have lots of fun with your Halloween creativity this year. 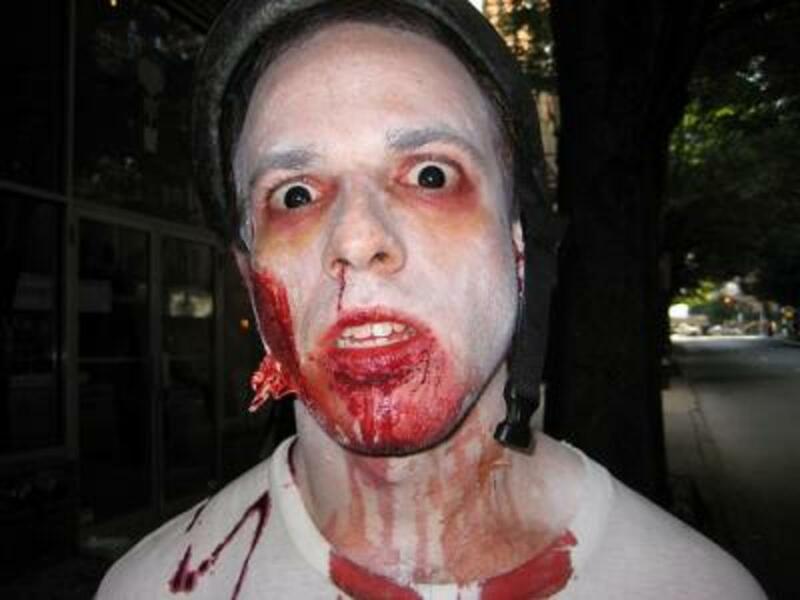 Damn... that "zombie" really scared me a lot. Quite convincing makeup! If you're looking for a cool Bride of Frankenstein or Frankenstein look, check out this video! No I'm not spam. I just thought it could be helpful to people looking! I like the Helloween Fairy makeup. Any ninja tutorial tips or ideas? please answer thx a lot for your help . 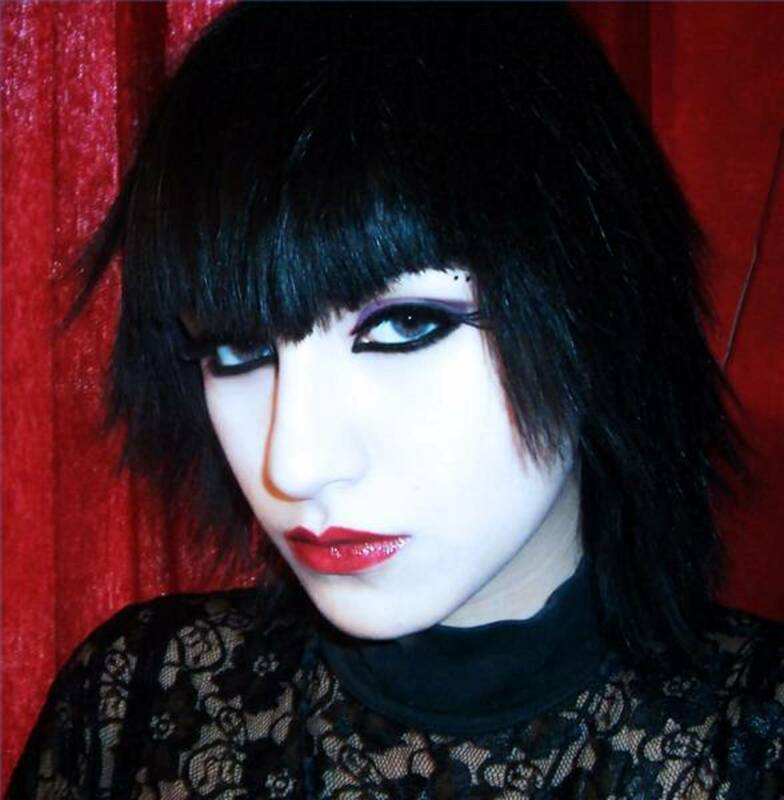 The goth make-up what is her name because she look's exactly like one of my friends and i was wondering if she was. Good ideas im dressing up as a dead bride any ideas? Thanks for the ideas cheap and they look great. Great ideas for Halloween. Cool pictures. Thanks for the info. Its amazing what you can do with makeup isn't it. The effects were terrific.